This day on Lake Superior in 1975, as most readers are aware, the ore boat Edmund Fitzgerald sank in Lake Superior, taking all twenty-nine hands down with her. The previous day she had loaded 26,000 tons of taconite pellets at the Burlington Northern dock in Superior, Wisconsin, and left port at 2 p.m. that day, taking its cargo to Zug Island on the Detroit River. 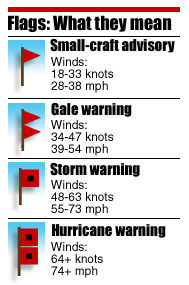 Just 39 minutes later, the gale warnings came in. It took the Fitzgerald until 1 a.m. to get 20 miles south of Isle Royale, battling 52-knot winds and ten-foot waves. At 7 a.m. the Fitzgerald reported 35-knot winds and ten-foot waves. At 3:30 in the afternoon, Fitzgerald Captain Ernest McSorley radios the Arthur Anderson, who is trailing the Fitz, and tells Captain Cooper his vessel had sustained “some topside damage.” and asked the Anderson to keep the Fitz in her sights. Forty minutes later the Fitz radioed the Anderson once again, announcing that her radar equipment had failed and asking for the Anderson’s assistance. Things got steadily worse for the Fitzgerald, and by 6 p.m. it was listing badly. At 7:10 the Fitzgerald told the Anderson “We are holding our own.” At 7:25 the Edmund Fitzgerald disappeared from the Anderson’s radar. For more information on the Fitzgerald sinking, visit S. S. Edmund Fitzgerald Online. Hi Dennis... I was surfing the web tonight and found this video tribute to the EF...very nicely done.